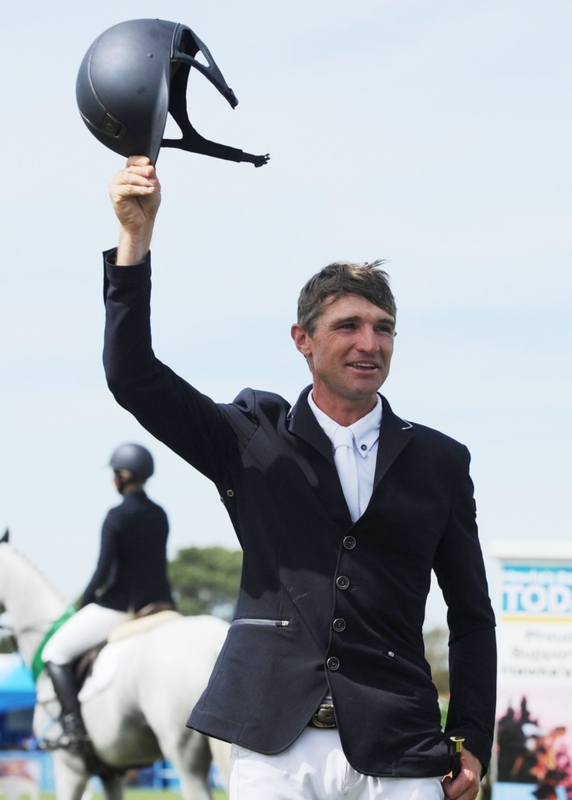 The Cottle name is back in the HOY limelight after 39-year-old James took out the GJ Gardner Pro Am Rider of the Year as part of the Dunstan Horsefeeds and Equifibre title on Thurday. Riding Oracle WT (owned by Sophia and Fiona Hall), he fairly flew around the five-strong jump-off, coming home double clear in a time none could match. Thirty started the class, but it wasn’t until Tamara Silcock (Nelson) and Steel Magnolia at number 10 that the first clear came. Cottle – four combinations later – was next, followed by Sally Clark (Dannevirke) on Victoria’s Secret, Anna Trent on Corodette Xtreme and finally Lucia Voss (Kawerau) aboard Grand Coeur 36. In the jump-off, Silcock and her grey set a good pace but had two rails to finish on eight faults in 38.68 seconds. Cottle came out flying, and it was clear he had lost none of riding talents, coming home clear in 38.92 seconds. Atlanta eventing silver medallist Clark gave it her best shot and despite a bit of a rub on one fence, stayed all clear in 41.34 seconds. Trent (Te Horo), who has previously represented New Zealand at the World Cup final and is recently back from Australia, took some fabulous tight lines on her youngster to come home clear in 42.03. Last out was Voss (Kawerau) who would have dearly loved to replicate her partner Tom Tarver-Priebe’s winning efforts of yesterday, but it wasn’t to be. She and the big grey finished on 12 faults in 42.07 seconds. Cottle figures it is 20 years since he was last in the main arena at HOY. While horses have never been far from his lifestyle, he has only been riding Oracle WT for six months, preparing the horse for 13-year-old Sophia Hall to take over the ride. Today was their first ever Pro Am start, having concentrated on 1.3m mostly with plenty of success. 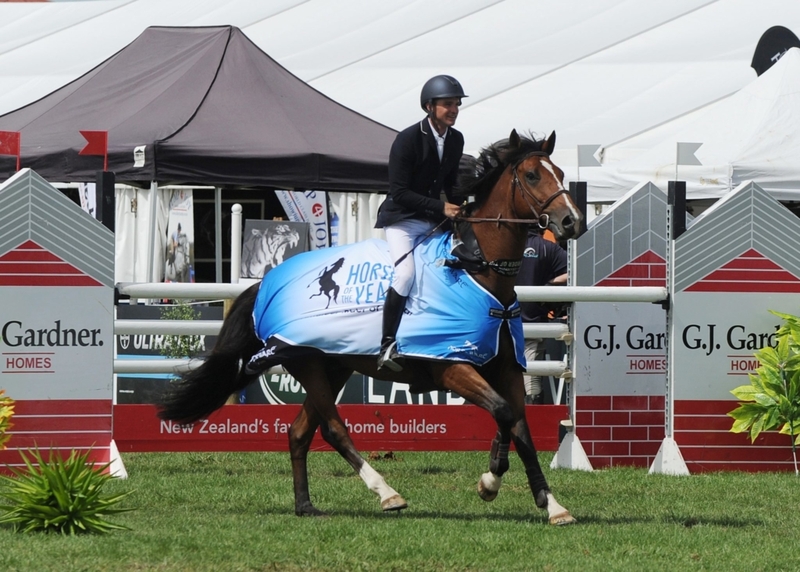 Dad John is one of New Zealand’s most decorated showjumpers, having ridden at Olympic Games, World Cup final, and more, as well as having won all of New Zealand’s most prestigious titles. He had a few words of advice for his son as he headed into the arena, telling him to go for it, as he had nothing to lose. Cottle was already on that page. This season marks the start of a comeback for the Karaka based rider who has been training with Vaughn Jefferis. GJ Gardner Pro Am Rider of the Year as part of the Dunstan Horsefeeds and Equifibre Pro Am Series: James Cottle (Karaka) Oracle WT 1, Sally Clark (Dannevirke) Victoria’s Secret 2, Anna Trent (Te Horo) Corodette Xtreme 3, Tamara Silcock (Nelson) Steele Magnolia 4, Lucia Voss (Kawerau) Grand Coeur 36 5, Shelley Ross (Helensville) Onward 6.